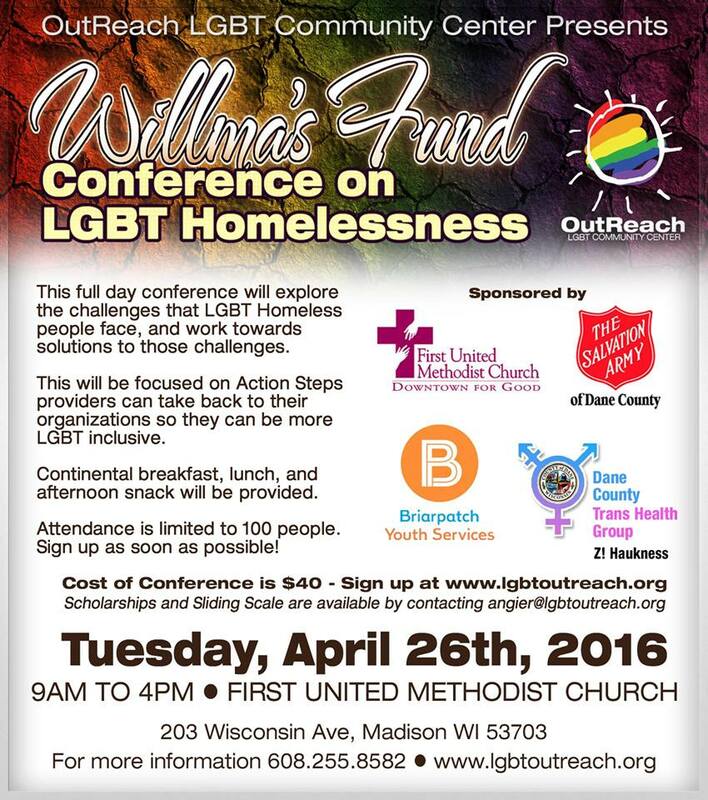 Please see the information below and the graphic attached on the 2nd Bi-Annual Willma’s Fund Conference on LGBT Homelessness! This full day conference will explore the challenges that LGBT Homeless people face, and work towards solutions to those challenges. The target participant for this conference are service providers working with people who are experiencing homelessness. Conference content will be focused on Action Steps service providers can take back to their organizations so they can be more LGBT inclusive. Continental breakfast, lunch, and afternoon snack will be provided. Attendance is limited to 100 people. Sign up as soon as possible!